I detest making backings for quilts. That's what I did last week. I ordered wide backings for three large quilts. 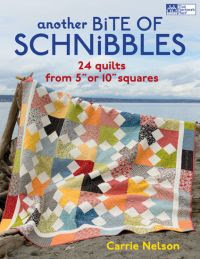 I would love to get all nine quilted before I leave in November...it could happen! I also went to the Alaska State Fair. If you aren't familiar with Alaskan agriculture...we are known for gigantic vegetables. We have a short but intense growing season because of the increased sunlight during the summer months. I got to see the prize-winning pumpkin...a mere 1,182 pounds. This pumpkin weighed 1,289 pounds but was disqualified because it had a hole. I walked through a perennial garden at the fair that was like a jungle! I saw this plant which was at least six-feet tall with these gorgeous burgundy flowers. There were no name tags...any idea what the name of this plant is? No bear sightings lately but I often see moose. This mom and calf were crossing a road I have to drive that is under major construction. I know it's hard to see them...they blend in perfectly with the brown dirt. Last Thursday was Breakfast Club. I spent the day sewing, sharing, talking and eating with other quilters. FUN! Here is a little show and tell. Alaska has had unusually fabulous summer weather so the ladies have not been working much on quilting projects. Thank goodness Marie was there because she provided most of the goodies for show and tell. Here she has a table topper she quilted on her domestic sewing machine. This gorgeous bag has all kinds of pockets inside...I should have gotten a picture of it! This is a Whistlepeg Creek Productions pattern, #1173 Pockets A Plenty. This fun quilt is from Kim Brackett's, "Scrap-Basket Surprises," called Pinwheel. Maris just got this Asian fabric quilt back from the quilter. It is Plan C from Carrie Nelson's, "Schnibbles Times Two." One of the ladies who works at the quilt shop where we meet brought in this newly quilted top for us to view. It is made of blocks from the shop's Saturday Sampler in silks. Once a month you get a pattern and fabric to make one block at a very inexpensive price. To get the next month's block you have to bring in your completed block from the previous month. The catch is to keep up...if you get behind the blocks are much more expensive to buy later! This is the quilt pattern we worked on for the session, Jelly Jive. It takes 40 strips. I added four more strips to give it a little more length. I used one of my bali pops, Zinfandel. I got two-thirds of this top done in our class. It's a quick and easy quilt. Untrimmed it is about 50 x 66". I just finish this quilt top yesterday. It started out as Reveille from Carrie Nelson's, "Another Bite of Schnibbles." I think I will call it Reveille Blues. It's 72 x 80". This week I am hoping to get some backings pieced so I can actually quilt some tops. I embrace and fight two tendencies in my quilting. I tend to biggie size quilts and I often take a simple pattern and make it harder. In June I started a Miss Rosie quilt, Reveille. I instantly biggie sized it...but instead of making the blocks from layer cakes I used charms and just made lots more of the 6 1/4"-finished sized blocks. I arranged them in a different layout on my design board. But as soon as I started to sew the blocks together I decided this was insanity....too much bulk to ever get the on-point blocks to match up perfectly. Time for a reality check. This is just a scrap quilt that will be given as a gift to someone...someday and hopefully used. Uncharcteristically...I simplified. I have over half the rows pieced. Finished the borders on Summer Breeze. I used a "Grasshopper," bali pop with a few light strips traded for others from my stash. I've been busy ordering furniture for our Alaska house. It will be eight weeks before I get some of it so this will delay my return to Paris. I really am enjoying being in my home but once again I will be alone quite a lot with my husband only getting back to Alaska for two weeks in September. At least when I'm in Alaska I have many friends I can spend time with and two sons who regularly come over for dinner but I sure miss my husband. I have been a regular Jazzerciser for 18 years! It is one of the things I miss most when I am in Paris. Last weekend the founder of Jazzercise, Judy Sheppard Missett, was in Alaska for a special Jazzercise cancer fundraiser, Arctic Rendezvous. 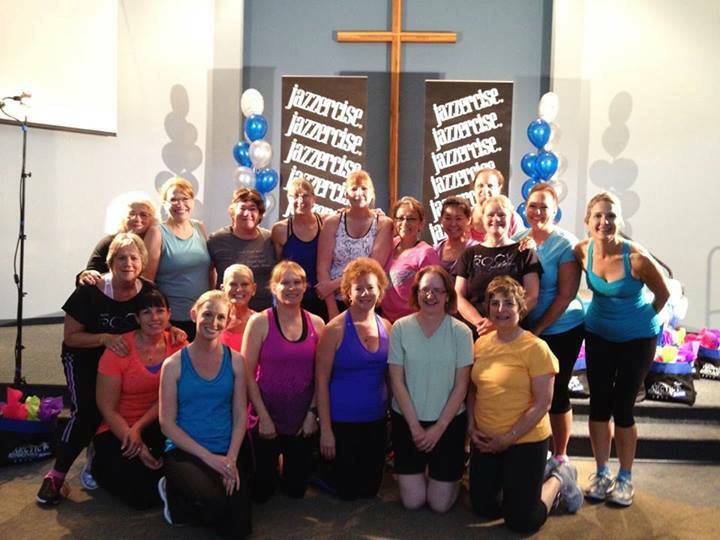 Miss Judy, as she is most widely known by Jazzercisers, led two classes at the event. She is close to seventy and is one fit lady! It was a wonderful day. I'm in the front row, second from the left, magenta top. I love getting to see my friends, dance and hear fun music. If you like dancing it is a great workout...the moves are easy to learn...and did I mention it is really fun! I'm so happy to have such a great Jazzercise facility in Eagle River, Alaska. I finished this quilt about a month ago and was in pursuit of a cool location to take photos. Unfortunately, I see it thrown on a beautiful tropical beach so I just drug my heels about photographing it. Oh well...I'll settle for a gorgeous sunny day! Variation of Island Chain from Kim Brackett's Scrap-Basket Sensations. I had lots of fun with the quilting design. I used two layers of Hobbs Heirloom batting. I did a pieced backing...I rarely do this and I'm so proud of myself because I got my quilting design centered just like I wanted...sweet! Made from my stash! It will be great hanging in my entry if I throw a Fiesta party. Makes me want a margarita with some salsa and chips. Wow...I'm actually sewing! Of course there are plenty of projects in the works to tackle. I'm putting the borders on "Summer Breeze," which is from Kim Brackett's, "Strip Basket Surprises." This is the fifth quilt I've made from the 18 in the book. That has to be a record of some kind! The meditation of working with a sewing machine is what I need. My second night home...Beary came to visit...or maybe it is Beartrice. And the sweetest part is I had an out of town guest and these are her photos. I'm so glad when the wildlife cooperates. Great to be home where it is much cooler!